Meet your new BAE. Of course, the title of this dish is referring to “Bacon, Avocado, Egg”, but if you wanted to make this breakfast sandwich your significant other everyone would understand. To make a sandwich so good you might want to date it, you’ve got to start with something special for the bread. We chose a savory cheddar and green onion waffle. No regrets. Then there’s the inside filled with bacon (a.k.a the best thing ever), refreshing California Avocado, and a perfectly fried egg with a warm, gooey yolk. 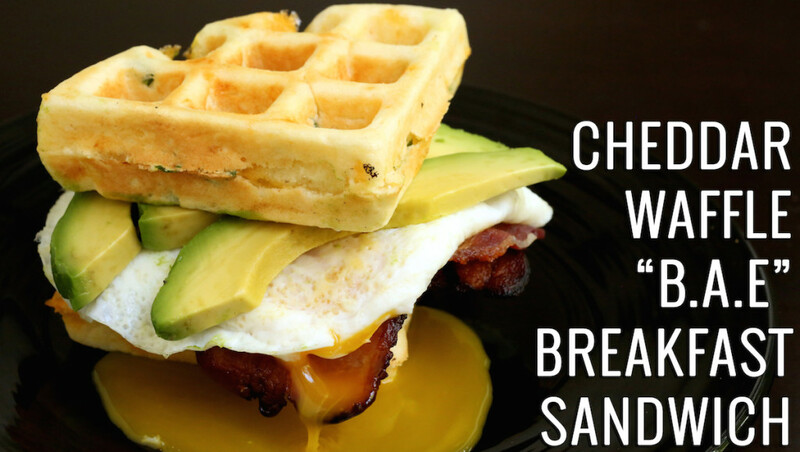 Yeah…this a breakfast sandwich I could really see myself getting serious with and settling down. Start by making the waffles. 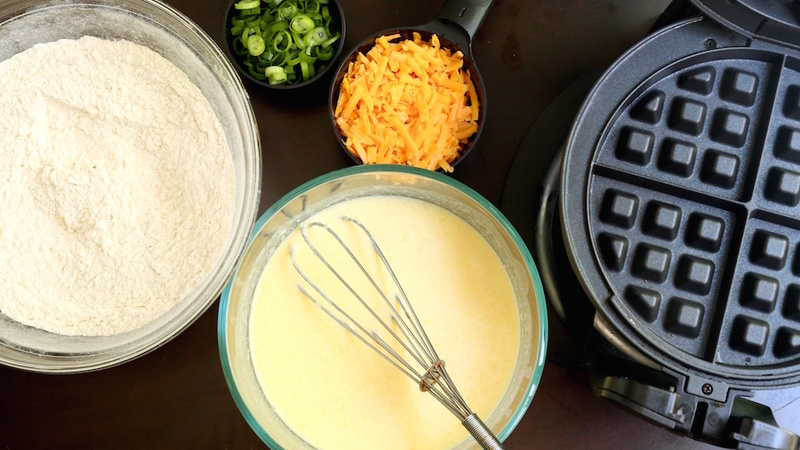 While your waffle iron is preheating, mix the dry waffle ingredients together. In another bowl, beat the eggs, butter, and buttermilk together. Combine wet & dry ingredients. Add bacon, onions, and cheese. When waffle is golden brown, remove and separate into quarters. 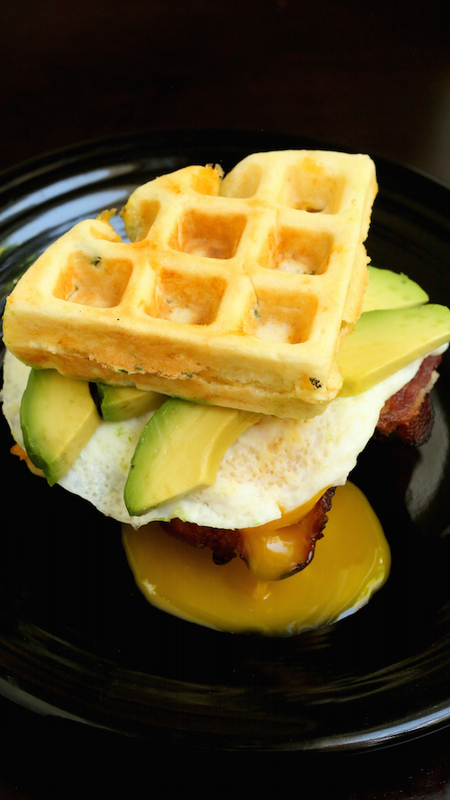 On a waffle quarter, stack the bacon, then egg, next avocado, then top with another waffle quarter. Feel free to break the egg before your first bite to get that yummy yolk everywhere.